For a long time, the dents made by hail on automobiles were fixed in only one way: using putties to fill the dents on the car body and repainting afterward each affected panel. But that technique presented serious problems: besides requiring an extended repair time, the action of the weather eventually hardened the fillers, cracking them. On the other hand, a vehicle that did not have its original paint suffered a considerable loss of value in the pre-owned car market because it was easy to detect that it had been repainted, it could hide more damages than those that met the eye. The development of the Paintless Dent Removal system brought a radical change in the way we deal with damages caused by hail and similar phenomena, avoiding all the problems derived from using conventional techniques. Applying controlled forces on the dented steel, it is possible to completely reverse the effects of the impact. The panel is returned to the exact condition it had before the damage occurred, leaving the original paint undisturbed, without resorting to fillers or other elements that are foreign to the vehicle, and leaving no trace of the operation. Consequently, the carmaker warranty remains intact and the eventual resale value of the car is unaffected. Using metal rods to exert the necessary pressure from the inside out to remove the dent. Utilising hot-melt adhesives that make it possible to work from the outside when the characteristics of the panel or its damage make the use of rods unadvisable or impossible. Applying controlled heat through magnetic induction, a technique developed to restore the original strength of the steel that has been weakened by hard impacts. Thus, the panel recovers its rigidity through controlled changes in the temperature of the affected spot. Besides the obvious difference in achieved results, the PDR technique offers, in contrast with conventional repairs, a radical reduction in repair time. The arduous conventional process, which involved sanding, applying fillers, painting, drying, and polishing, usually meant at least five days in the repair shop, which could easily become weeks when the damages were significant. By using PDR procedures, a qualified technician can easily reduce the repair time to one fifth of the time needed for a conventional repair, and he can fix 1000 hail dents in less than 24 hours. 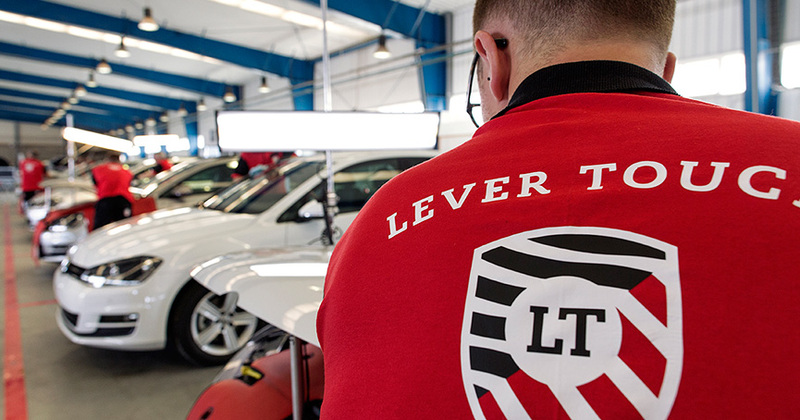 Our technicians are trained for three years at the Lever Touch Academy, and their certified mastery of the PDR techniques makes it possible to achieve optimal results when fixing dents, as required by our artisanal work approach. Lever Touch’s extensive experience in the use of these techniques arises from fixing more than 345,000 vehicles damaged by hail, blizzards and industrial pollution, in 17 different countries. 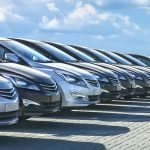 The excellence of our work, whether we fix a few vehicles or we mount a big operation to repair a large number of them, has earned us the trust of the biggest automotive manufacturers and the leading insurance companies, which we have supported through our Storm Incidents and Insurer Partnerships service lines. Thus Lever Touch asumes a pre eminent position in the use of PDR techniques, with impeccable and faster results that are among the more frequent cause for the satisfaction of our customers. You got my attention when you said that paintless dent repair is a fast process because it can fix 1000 hail dents in less than a day. My car was recently damaged because of hail. I don’t have other cars to use, so it’s important for me to find a way to have all its dents removed in the quickest way possible. Thanks for sharing this.